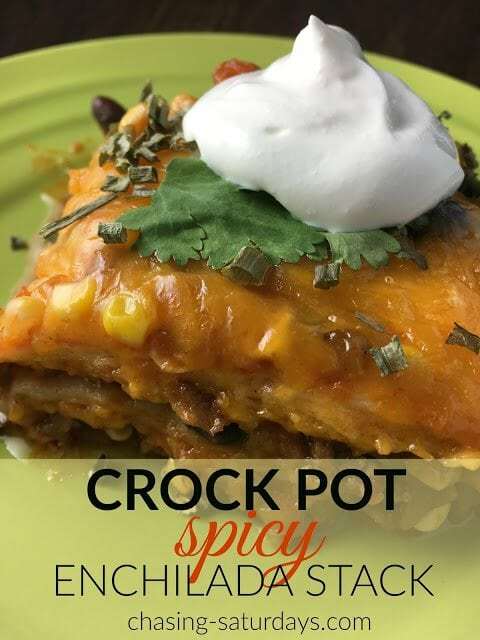 Crock Pot Spicy Enchilada Stack - WCW Week 29 - Recipes That Crock! 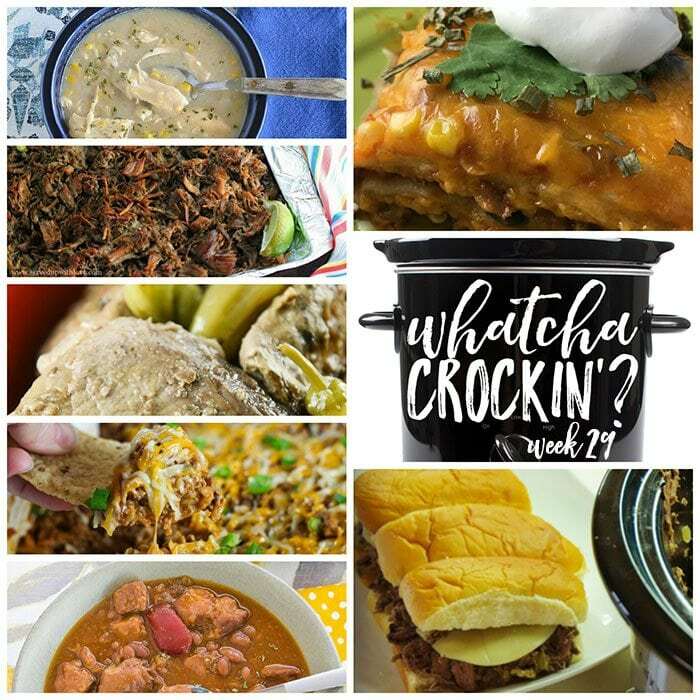 This week’s Whatcha Crockin’ crock pot recipes include Crock Pot Spicy Enchilada Stack, Crock Pot Pork Baked Bean Soup, Crock Pot Beef Enchilada and Rice Dip, Slow Cooker Carnitas, Slow Cooker Italian Beef, Crock Pot Chicken Corn Chowder, Crock Pot Mississippi Pork Chops and much more! We’ve made it to week TWENTY NINE of Whatcha Crockin’ link ups with our blogging friends?! Leah, Liz and I want to are grateful to all the bloggers that link up their delicious crock pot recipes each week. This week you we have some crock pot recipes you don’t want to miss from around the blogosphere. So let’s get crockin’! I’m sharing our Crock Pot Mississippi Pork Chops. 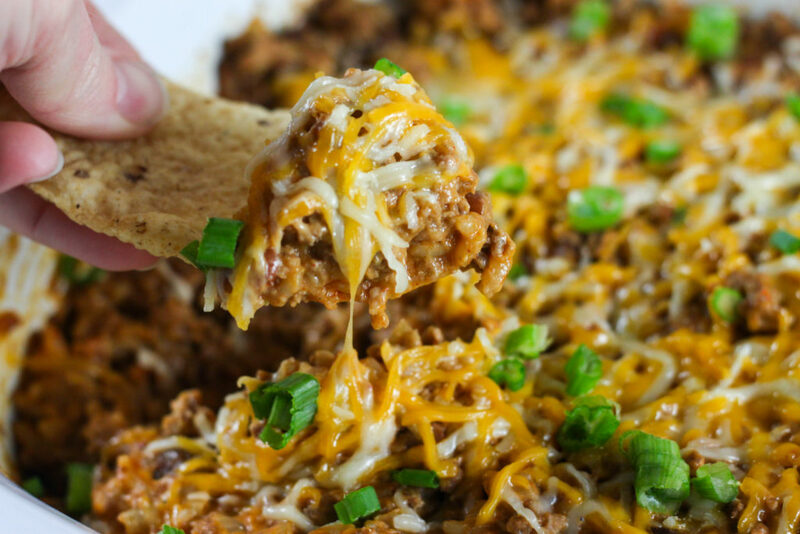 Liz shared Crock Pot Beef Enchilada and Rice Dip over on The Farmwife Cooks. 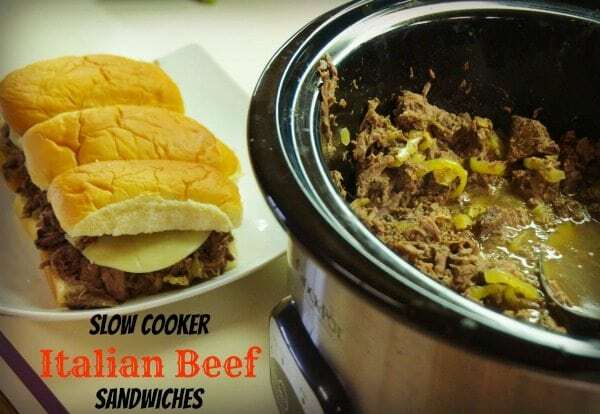 Leah shared Crock Pot Italian Beef on Beyer Beware. Chasing Saturdays has the post with the most clicks this week with Crock Pot Spicy Enchiladas Stack! 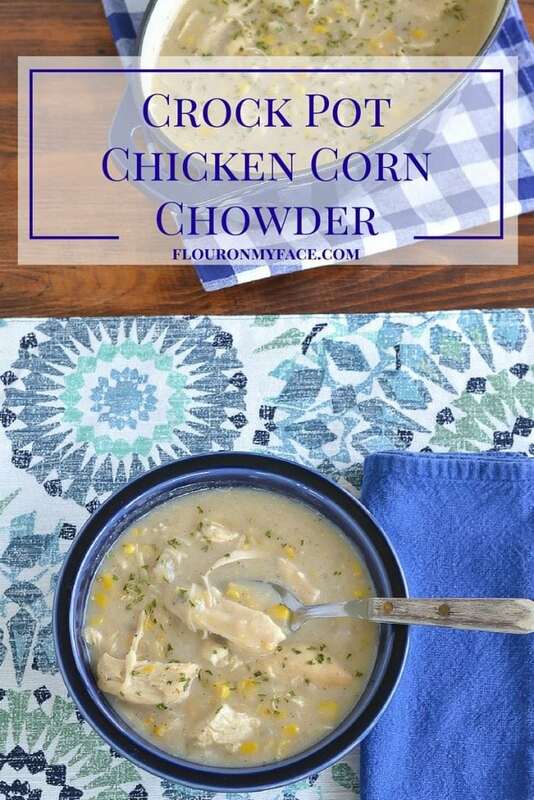 Flour On My Face shared Crock Pot Chicken Corn Chowder. 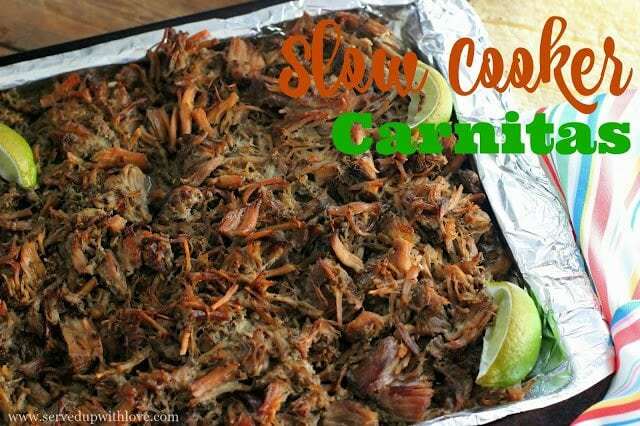 Served Up with Love shared Slow Cooker Carnitas. 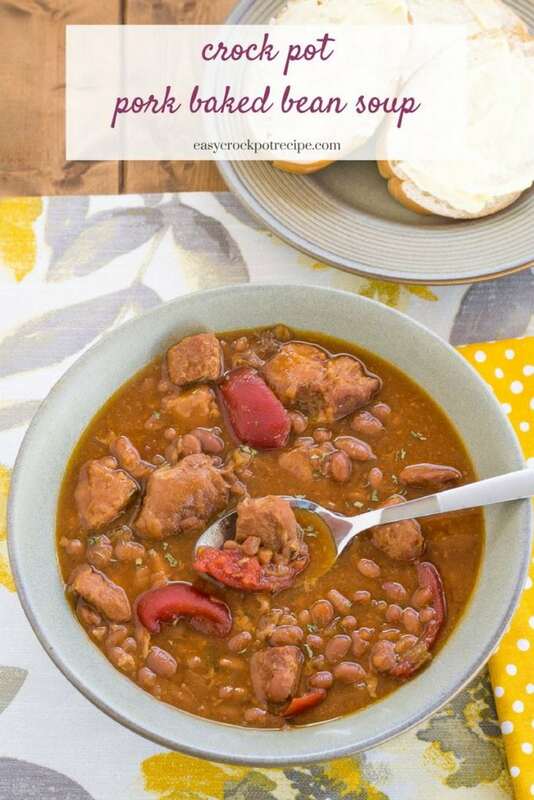 Easy Crock Pot Recipe shared Crock Pot Pork Baked Bean Soup. 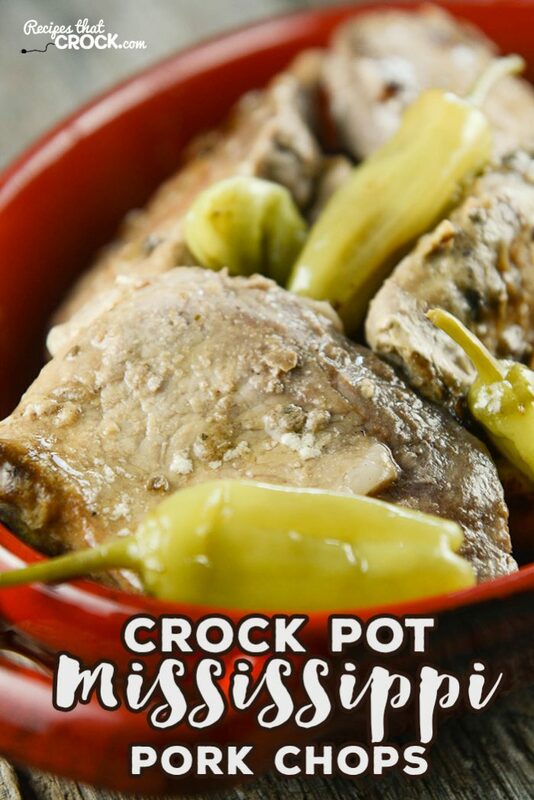 Thank you for featuring and sharing my crock pot recipe this week!